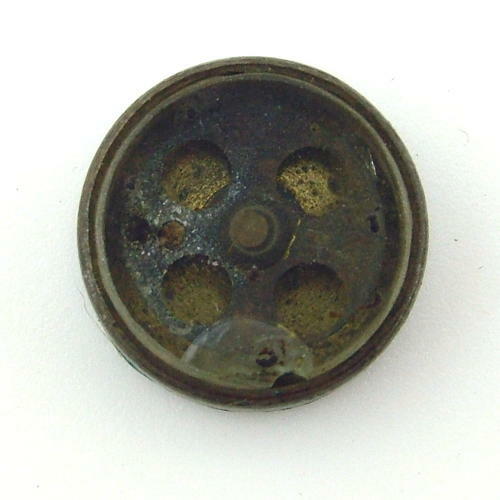 Standard half inch escape compass. Developed by Christopher Clayton Hutton at MI9. Black painted cylindrical brass case/body with the less commonly found circular rotor with luminous dots to indicate North and South. Glass cover with bevelled edge. Some paint loss and the glass is a bit dirty with a chip to at the edge. Good working condition. Stock code E22722.